What are the responsibilities of your Maid of Honor & Best Man? The Best Man and the Maid of Honor are two of the most coveted roles in the wedding party… why you ask? Being asked to be the Maid of Honor or the Best Man shows that the bride or groom value your relationship and have complete faith in your ability to fulfill these important roles. So, what exactly goes into being the Maid of Honor or the Best Man? Well, it’s a lot more than standing in a certain place during the ceremony. If you are like many people and are unclear on the roles, then read on! The history of the Maid of Honor dates to ancient Roman times when a bride would travel to her groom’s hometown (kind of like a destination wedding). It wasn’t safe to travel; the bride ran a risk of being abducted or robbed of her jewelry. To prevent this, the bride’s friends would dress up in clothes like the bride so that it would be more difficult to find the right woman. This was also done to ward off evil spirits who might try and harm the bride. The idea of the bride, bridesmaids, and Maid of Honor dressing the same is an unusual one to those of us from the 21st century. Today, the bride is the only one who wears white because she wants to stand out from the crowd. My, how times have changed! She was also in charge of helping the bride prepare for the wedding by helping her dress as well as make wreaths to ward off the evil spirits who may target her. The role of the Maid of Honor has changed dramatically over the years. Gone are the days when you needed to be a “decoy bride”; and present are the days where you are the bride’s support system! So, what do you do specifically? It is your job to help ensure that the bridesmaids are fully prepared and performing their bridesmaid’s duties. This can include helping with finding and assigning bridesmaid gowns, fittings, and planning the pre-wedding parties! As the Maid of Honor, you will also be tasked with more tedious activities such as preparing and mailing invitations. As a bridesmaid, your opinion will be crucial. You may very well be a deciding factor in what dresses are worn at your best friend’s wedding! Bonus Tip: As the Maid of Honor, you buy your own dress, shoes, and accessories. You are in charge of planning and conducting the bridal shower and bachelorette party. This can be as exciting or as tame as you think the bride will enjoy. Just be sure to be as helpful as possible! You will be the one who holds the bride’s bouquet during the wedding ceremony! This is exciting because you get the best seat in the “house”, other than the groom of course. As you can see, the Bride’s Maid does many crucial things for the wedding. Saying “yes” to this role will likely be the easiest part of the task. However, know that the bride will most likely be undyingly grateful to you for the rest of your lives! Perhaps one of the most exciting aspects of wedding history, the tale of the groomsmen and Best Man! Traditionally, a Best Man could have been seen as an accessory to abduction. No, we’re not joking. The Best Man was a friend of the groom who was decent in a combat setting, willing to help the groom fetch the bride, and he would help defend the couple from her relatives or other jealous suitors! This makes the role of the best man both honorable, and an exciting one! Though (in most cases) the Best Man will not need to protect the bride and groom from ill-wishers, he still has other important duties to perform. 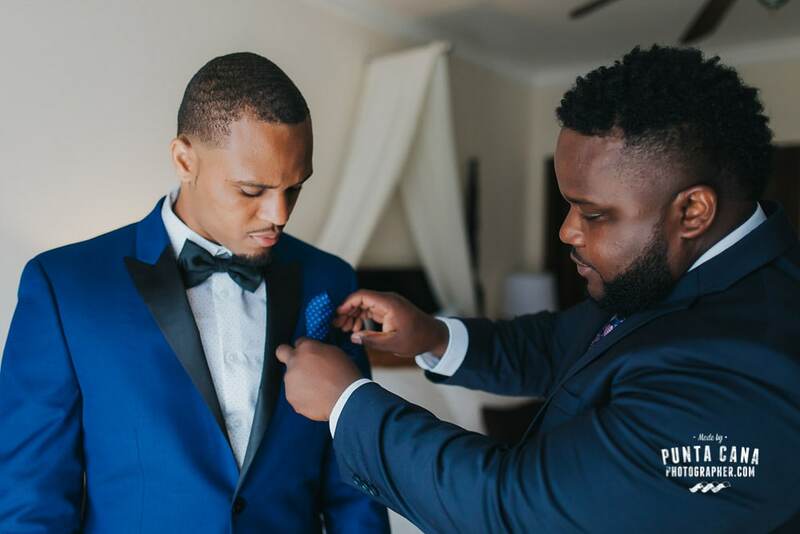 It is the Best Man’s job to ensure that the ushers understand their role’s and are doing everything they can to make the wedding day run smoother. It is the privilege of the Best Man to care for the wedding bands before the wedding. No pressure! The best man is also in charge of giving a heartwarming speech and toasting to the happiness of the newlyweds! These roles are both very important and both have evolved greatly through the years. There’s more to these roles, this is just a fun summary to give you an idea of what will be expected of you! Good luck!